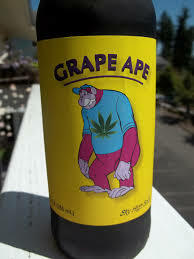 It’s been a while since we have done a grape ape using 100% organic concord grape juice. The large batch was little weakish so we are going to have to go with a longer second fermentation. We used 1/3 cup of grape juice and 1/2 tablespoon of sugar. The medium batch was perfect we used 1/2 tablespoon of sugar (but not too full). Was torn between a teaspoon of sugar and 1/2 tablespoon, would like one in between.